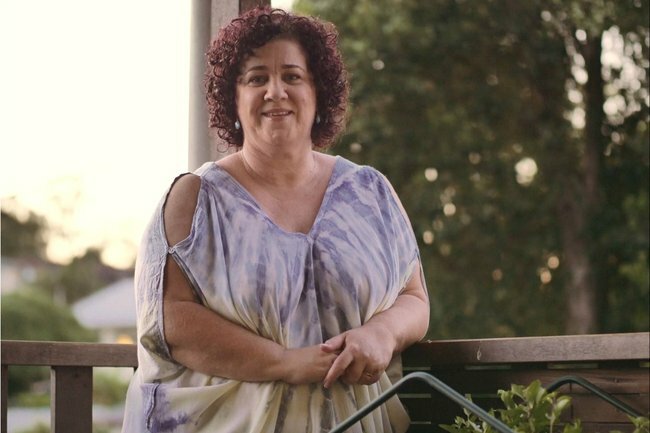 "There was this blackness coming over my body": Sandra had her first allergic reaction at 44, and nearly died. “I was sitting on the bed in the resus bay, and I could just sense it. There was this blackness coming over my body, I could feel it moving up my arms and legs. This was the moment Sandra Wardrop nearly died from an allergic reaction to a chicken curry aged 44. Food allergies are much more common in children. One in 20 aged 10-14 have them. Post continues after video. The New South Wales nurse didn’t grow up with food allergies. In fact, 2014 was her very first experience with them. In the February she had a slight reaction to a prawn goa, and in the May she had a different curry, but one she’d eaten numerous times before, and had a severe anaphylaxis event that nearly killed her. Never before had she had a single symptom. She is one of the rare few who develop a severe food allergy in adulthood. Sandra went from no issues at all to being allergic to cumin, coriander, tumeric, nutmeg, fennel, mustards, fenugreek and seafood. 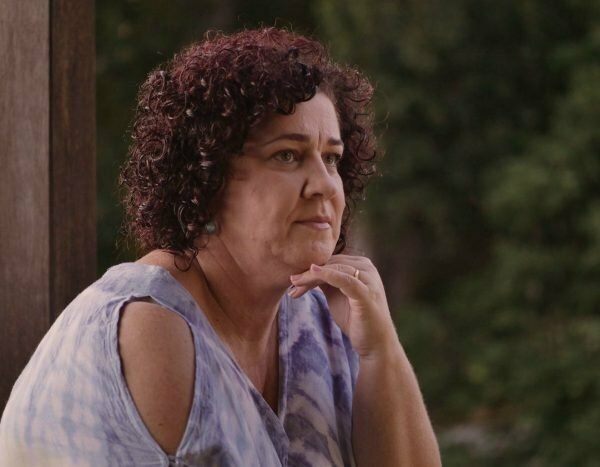 “My immunologists told me I am 1 in 10,000 maybe even 1 in 100,000,” Sandra told Mamamia. How? She isn’t sure, neither are immunologists. There’s barely any research. Allergy professor Associate Professor Richard Loh told Mamamia their other theory for late onset allergies is linked to gastro. “Gastro impairs the gut lining and maybe a food allergen that isn’t normally absorbed, is absorbed,” he said. Professor Loh stressed however, that’s just a theory, and that they’re “going blind because we don’t have good data”. “I get fishermen coming to me who suddenly are allergic to fish. But we can’t tell them why,” he told Mamamia. If you look to the American research on adult onset allergies, Professor Loh says 5 per cent of adults with allergies are at a risk of anaphylaxis shock. 2.5 per cent of those developed that allergy later in life. He thinks the data might be similar in Australia – he also thinks the instances are on the rise. For Sandra, developing life threatening allergies as an adult has completely transformed her life. “I was a self professed foodie, I loved international cuisine,” she told Mamamia. Sandra was a self professed foodie. Now she has to think carefully about every meal. Image: Supplied. Nowadays, her diet is pretty bland. She&apos;s had to cut out Indian, Asian, Moroccan, South American flavours...anything that might put her at risk. "We can&apos;t do spontaneous dining out unless it&apos;s to a cafe or restaurant that understands my allergies and has developed a meal plan for me. But this means I order and eat the same dish every time," Sandra explains. But even when she&apos;s cautious, there&apos;s always the fear in the back of Sandra&apos;s head that she&apos;ll experience a repeat of 27 May, 2014. As a nurse, she was already in hospital when her reaction took over. "I was lucky I was in the right place at the right time. It saved my life. If I was at home, there is no way an ambulance would have made it in time. I would have died," she said. "It&apos;s a feeling I&apos;ll never forget. It still haunts me. I live in fear that every meal I consume away from home, could this be the meal that kills me?" she said. Sandra&apos;s life and death experience has interestingly, given her a new perspective in her profession. "I had heard patients express words like, &apos;I feel like things are going to end&apos; in various ways. This impending doom has been described to me and I&apos;ve never really understood it. "Now, if a patient says to me a simple phrase like &apos;am I going to die.&apos; I take a moment to say to them, &apos;why do you think that?&apos;. Sometimes if you explore that they&apos;ll come out and say &apos;Oh I feel this or I feel that&apos;," Sandra explained. While research is an obvious need for people like Sandra, the other thing she thinks needs a re-look is food labelling laws. At the moment, brands can say &apos;herbs and spices&apos; in the ingredients list. As you can imagine, that&apos;s not overly helpful for someone allergic to numerous specific spices. Professor Loh is of the opinion cases like Sandra&apos;s are just going to increase in Australia, with the statistics showing life threatening food allergy rates have doubled in 10 years. For Sandra, she&apos;s adapted to her new way of life, and hasn&apos;t actually had a reaction since September 2016. "I know I am lucky, I was given a second chance," she told Mamamia. But that doesn&apos;t stop her reminiscing: "I miss going to a cafe and just ordering anything off the menu. I really miss that," she added. It is currently World Allergy Week, (April 7-13) which is raising awareness about the impact of allergies in our communities. Anyone affected by allergies is being urged to support the National Allergy Strategy&apos;s $20 million election plea to all major political parties.